Just the right size! 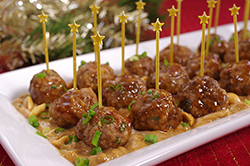 These mini-meatballs are packed with flavor and enjoyed in one bite. The sauces make them even better! 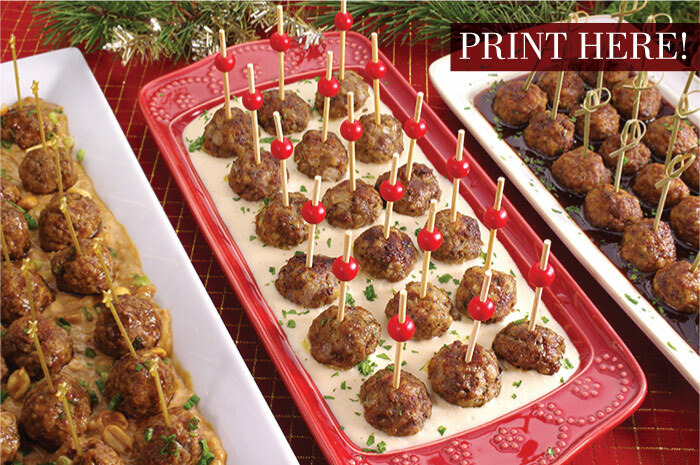 Serve with cocktail picks and appetizer plates. 2. 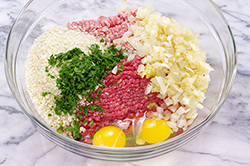 Mix all the meatball ingredients, (beef, pork sesame oil, breadcrumbs, ginger, garlic, eggs, and scallions), together in a large bowl. 4. 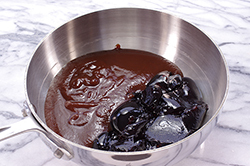 Prepare the glaze by combining the soy sauce, water, rice wine vinegar an sesame oil in a small saucepan and bring to a boil. 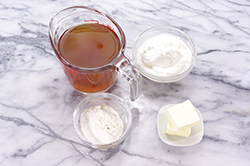 Mix the cornstarch in a small amount of water to make a slurry. Add to the boiling mixture and whisk until thickened. 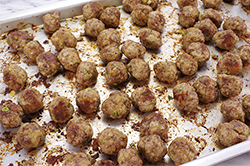 Pour over the baked meatballs. 5. 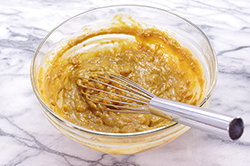 Whisk the sauce ingredients together when ready to serve. 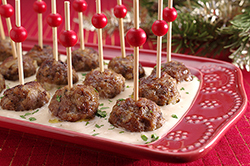 Serve the sauce as a bed for the meatballs or on the side. 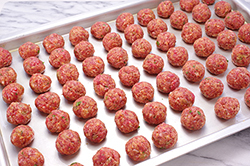 Spear each meatball with a cocktail pick and place on a presentation plate for serving. 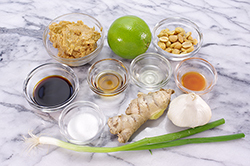 Garnish, if desired with additional scallion and chopped peanuts. 2. 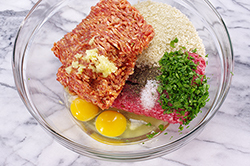 Mix all the meatball ingredients, (beef, sausage, breadcrumbs, beef broth, parsley, garlic, eggs, salt, and pepper), together in a large bowl. 5. 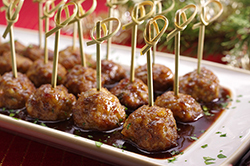 Pour the sauce over the meatballs, toss to coat, and serve. Or use the sauce as a bed for the meatballs, or serve the sauce on the side. 1. In a small skillet, sauté the finely dice onions in the olive oil until translucent, about 5 minutes. Cool slightly. 2. 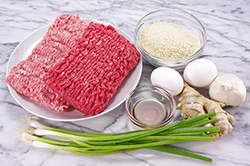 Mix the onions with the beef, pork, breadcrumbs, broth, parsley, garlic, eggs, and spices. 4. In a small saucepan, cook the butter and flour roux for 2 minutes. 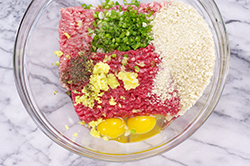 Add the beef broth whisking until smooth. Add the sour cream. Season generously with salt and pepper. 5. 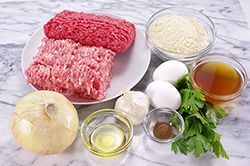 Pour the sauce over the meatballs, toss to coat, and serve. Or serve the sauce as a bed for the meatballs or on the side. 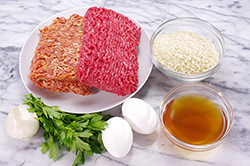 Garnish with minced parsley.